Yes I live on the edge. 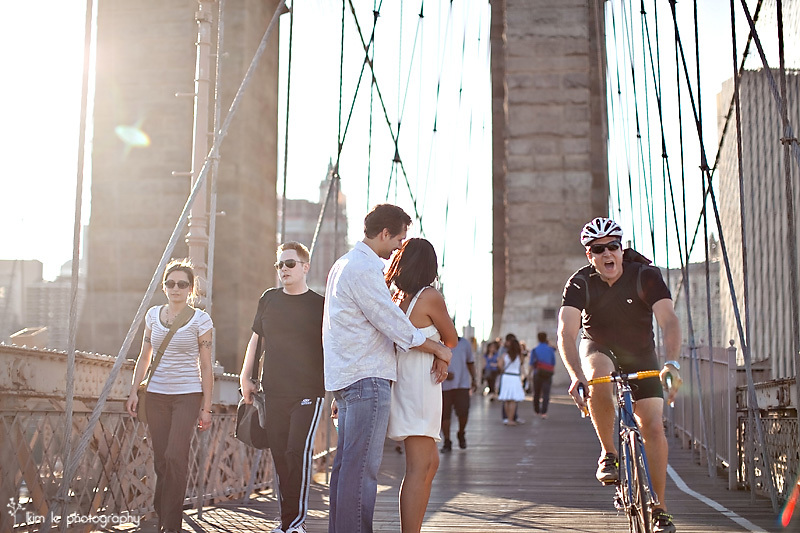 Here I was lying on the Brooklyn Bridge – trying to get the shot and this New York bike rider almost runs me over. And look at him yelling at me! DUDE – I was only trying to do my job! More memorable moments from my engagement shoot with this mysterious couple coming soon!